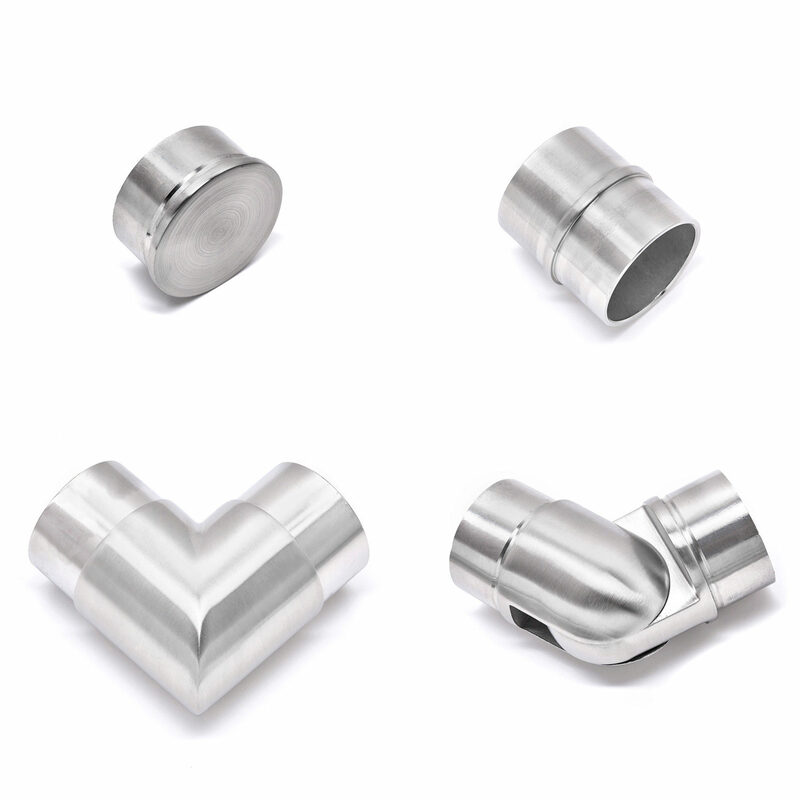 The above products are recommended for installation or mounting of the Round Metal Handrail Fittings. 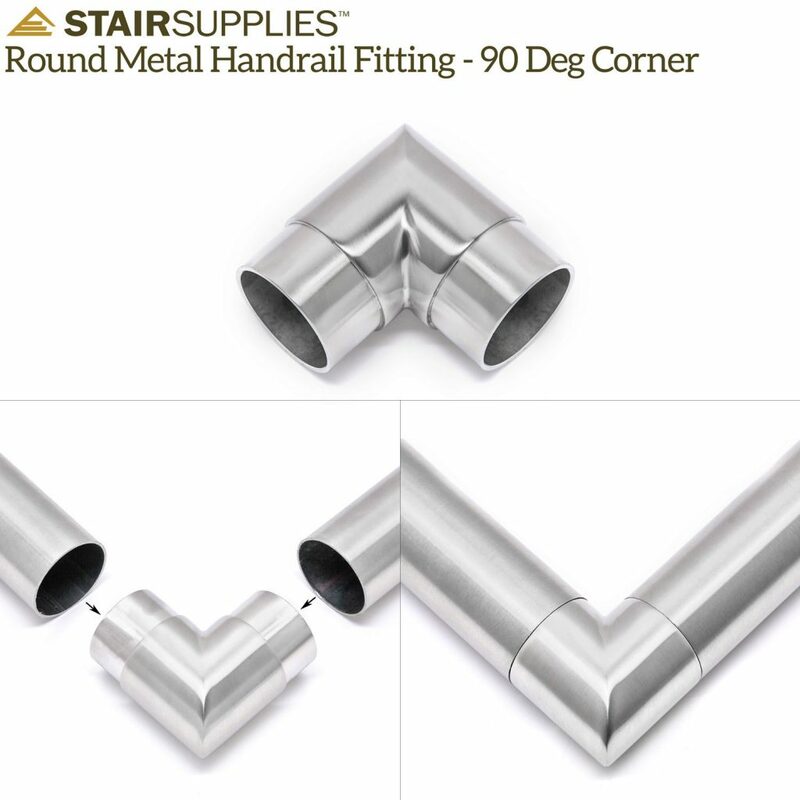 Made to match the finish of your 2 inch round metal handrail, these pieces cover transitions from one piece of handrail to the next, corners, or the end field-cut handrail. Available in 316 Stainless Steel only, however it can be ordered with a powder coated finish. 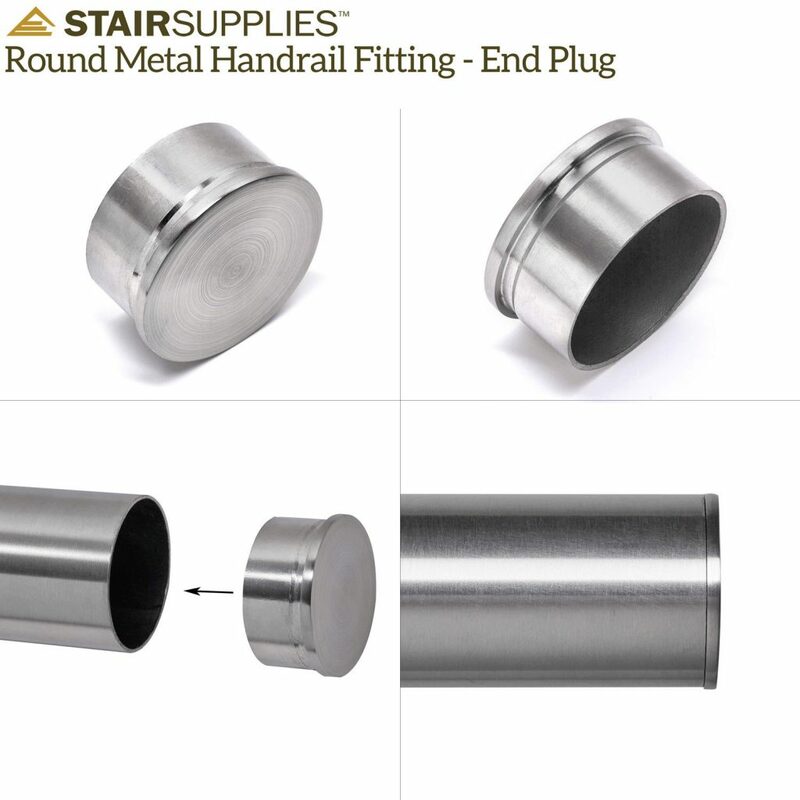 Round handrail only works with our Universal Top Cable Railing Posts, if you order round handrail & our Universal Top posts we’ll automatically change the brackets to accommodate the round handrail. 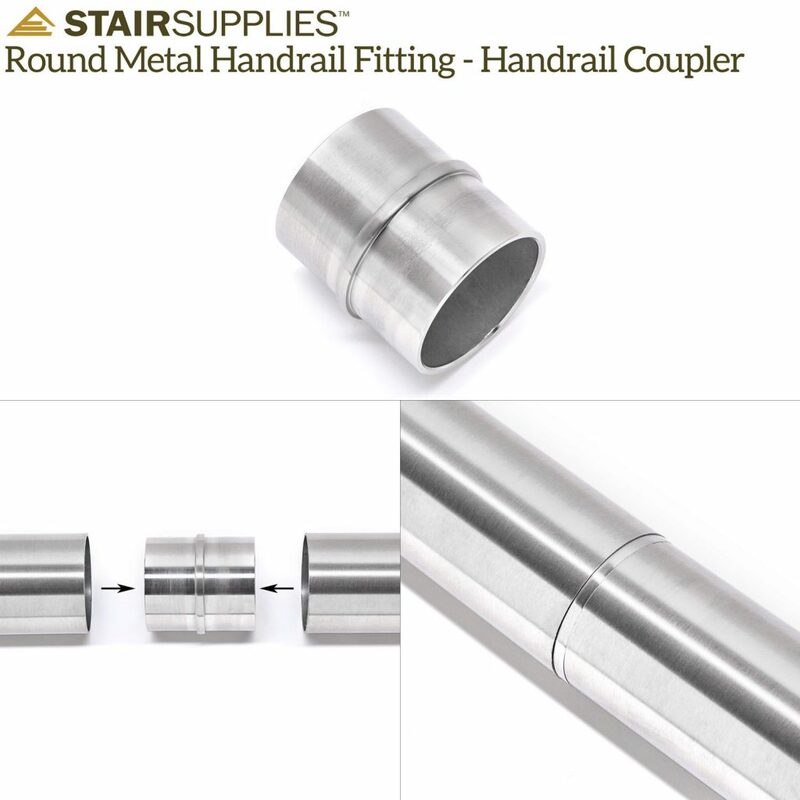 Is there a wall/post bracket available for the 2″ round metal handrail? 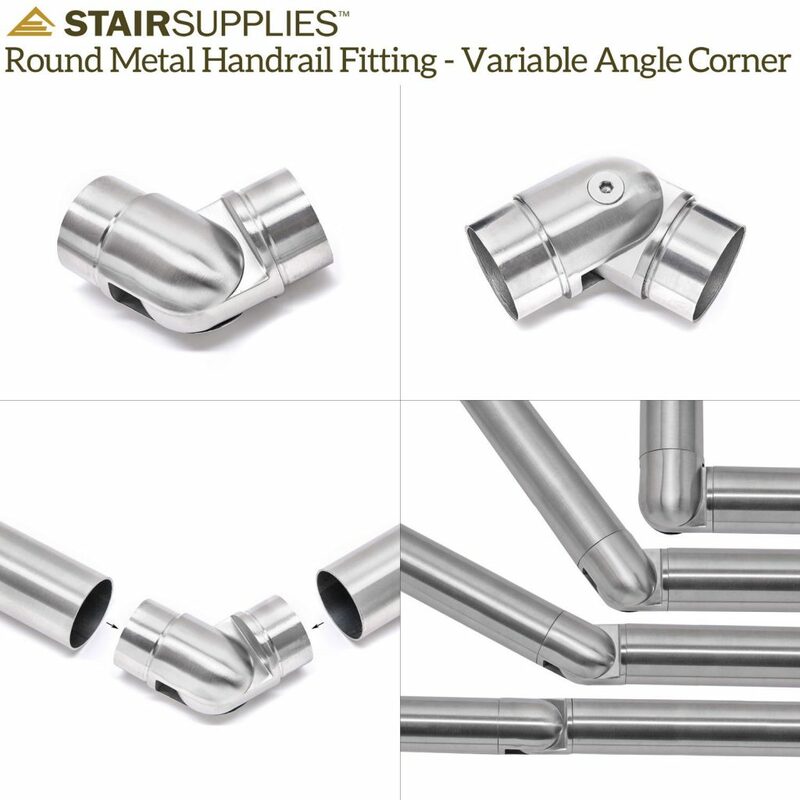 To wall mount a 2″ Round Handrail, you’ll want a VR453 Stainless Steel Handrail Bracket. Be sure to specify under the “Primary Option” drop down menu that you’re wanting a rounded bracket.